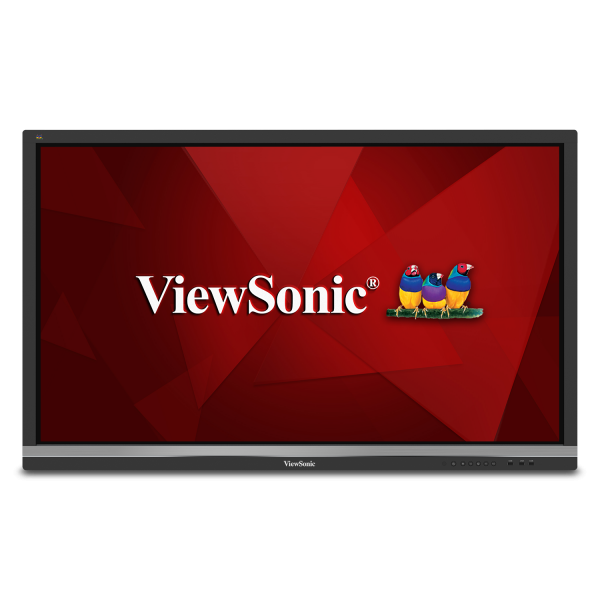 ViewSonic ViewBoard IFP7560 delivers incredible collaborative capabilities for modern boardrooms and classrooms. With a built-in quad-core processor,as well as versatile connectivity options including multiple HDMI,VGA,RS232,RJ45,and USB ports,this display provides powerful computing for annotation and multimedia playback without the need for a PC. The IFP7560 features a VESA-compatible design and can be placed on a wall mount. 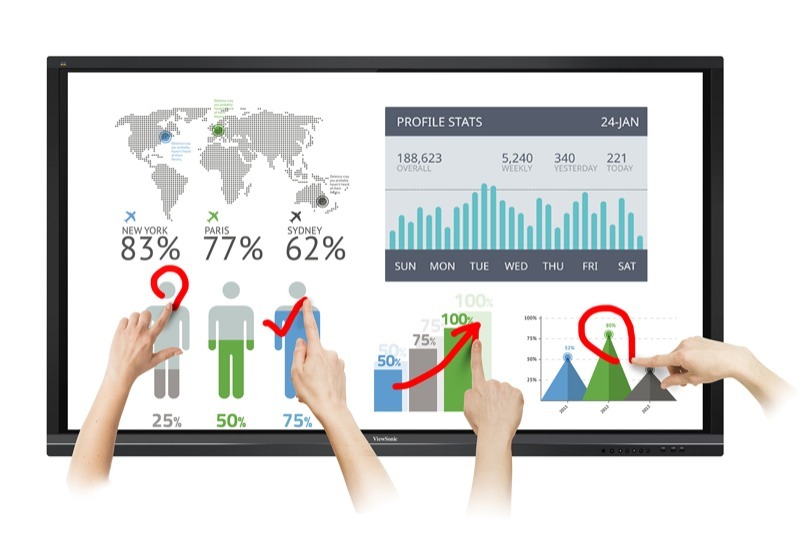 ViewSonic ViewBoard IFP6560 delivers incredible collaborative capabilities for modern boardrooms and classrooms. With a built-in quad-core processor,as well as versatile connectivity options including multiple HDMI,VGA,RS232,RJ45,and USB ports,this display provides powerful computing for annotation and multimedia playback without the need for a PC. The IFP6560 features a VESA-compatible design and can be placed on a wall mount. Ultra HD Resolution - With four-times the resolution of Full HD, this Ultra HD Display delivers a breathtaking viewing experience wih immersive images that are vibrant, clear and as large as life. 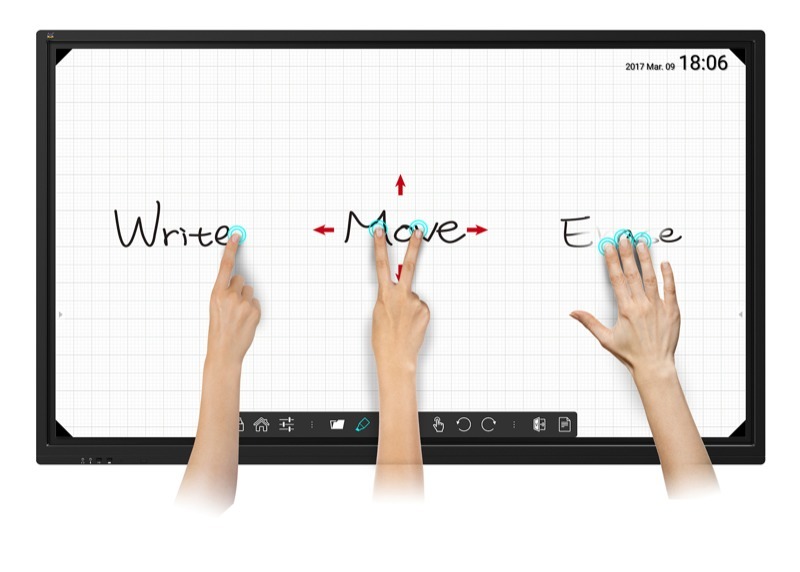 Out-of-Box Collaboration - Integrated with ViewSonic vBoard embeddes software and ViewBoard Cast, as well as Zoom software, this display delivers out-of-the-box annotation and content sharing capabilities. Room-Filling Sound - Designed with dual, front-facing speakers, this display provides clear, room-filling sound for an incredibly immersive viewing experience. 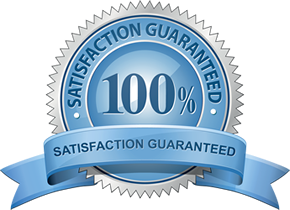 AAll Interactive Flat Panel displays come with a 3-year warranty and 1-year warranty on pens/remotes.